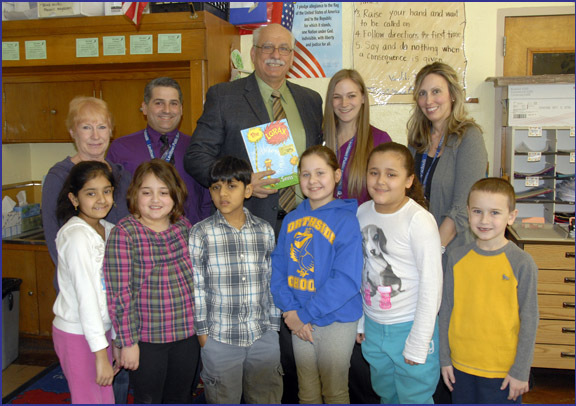 Nassau County Legislator Dennis Dunne Sr., participated in the program Parents as Reading Partners (P.A.R.P.) at Northside Elementary School in Levittown. He read to 2nd grade students. Shown in photo: Legislator Dunne; Pat Carney, teacher’s aide; Scott Campa, substitute teacher; Jennifer O’Brien, student teacher; Gina Rolston, teacher’s assistant; and students of the 2nd grade.